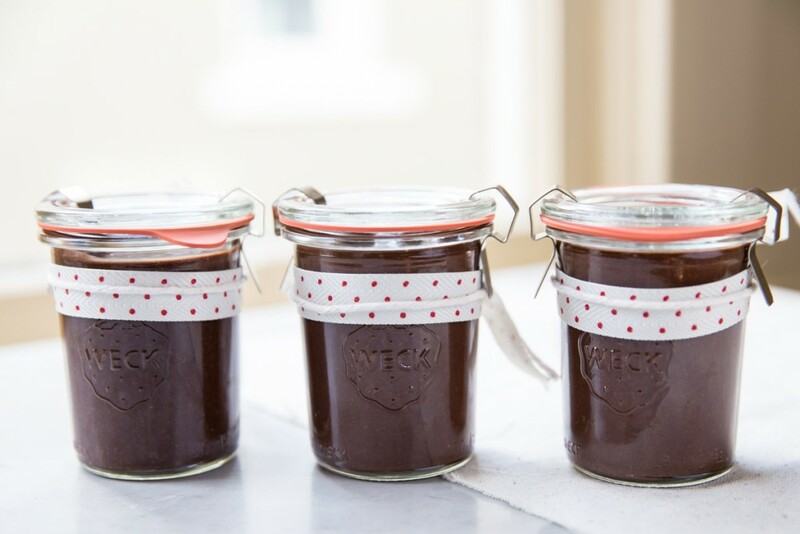 Who wouldn’t want homemade nutella for Christmas, right?! I would!! These little jars barely made it past my front door! 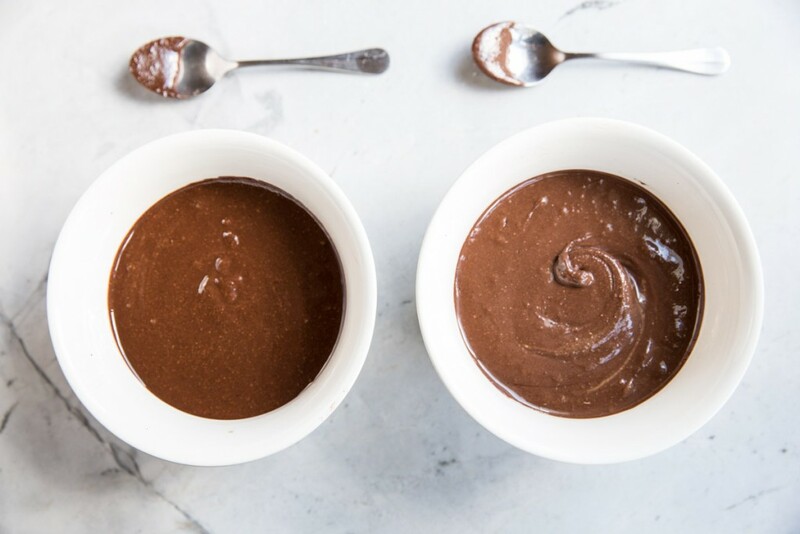 This homemade nutella recipe has just three simple ingredients and can be made in a matter of minutes with easy substitutions to make it paleo or sugar free. Find some fun jars and you have yourself a merry little gift! Hazelnuts and Nutella both hold a special place in my heart. I can’t remember if it was a past trip to Portland or our time in Italy, that first sparked my love for hazelnuts but I’ve been an addict for quite some time now. 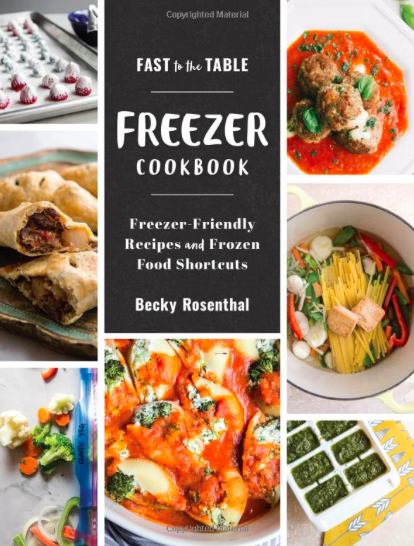 I can put hazelnuts in just about everything from baked goods to salads or veggie dishes. When I roast hazelnuts and scatter them in a dish I’m taken back to enjoying them out of a paper bag from a oregon farm stand or eating a double scoop of hazelnut gelato in Italy. And nutella, well it brings back many fond memories for me too. Years ago, during a summer trip to Spain, someone bought a jar of nutella back to our flat and I remember passing the jar around with girl friends and spreading it over just about anything we could find. Hazelnuts and nutella are a special treat for me, thus I wanted to share them with some of my loved ones too this year. 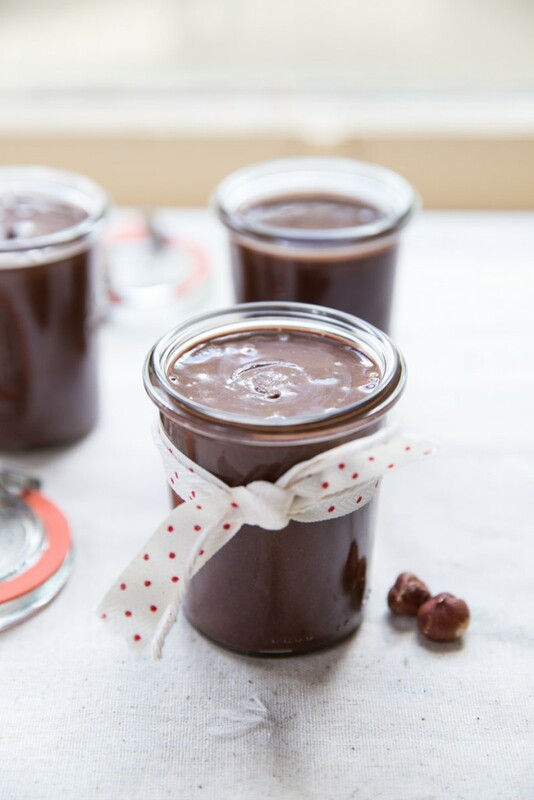 This homemade nutella makes for a great holiday gift. If you can find roasted hazelnuts at the store, get those! Pre-roasted hazelnuts will make this recipe even easier. If you can’t find them already roasted then roast the nuts in the oven at 375 degrees for 5-8 minutes or until they’re fragrant. Then, once they’re cool use a paper towel to remove the skins. 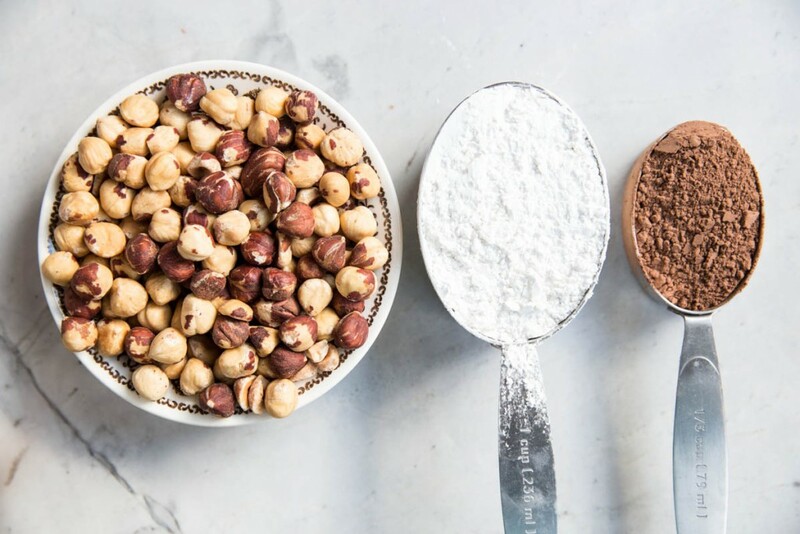 Use a food processor or high powered blender to first turn the hazelnuts into a peanut-butter-like spread then add the other two ingredients and blend until desired smoothness. As for sugars, I tried both coconut sugar and powdered sugar and they both made for an awesome flavor. The coconut sugar is less sweet but lets the hazelnuts shine. The texture of either will depend on how finely you grind up the ingredients so you can have a creamy spread or a slightly sandy one, whichever you prefer. Besides just straight from the spoon, try using the homemade nutella on waffles, toast with bananas, in between layers of cake, in crepes, in grilled cheese, in stuffed french toast, or as a dip with fresh fruit. I love it just about any way! 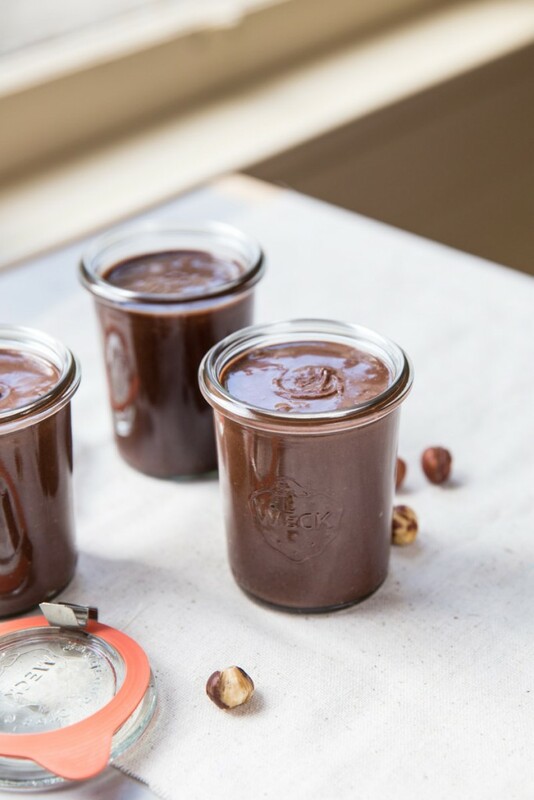 A simple dairy-free and vegan recipe for homemade nutella with options for sugar free and paleo diets. 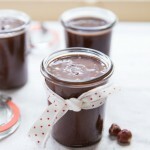 This nutella is perfect for holiday gift giving! 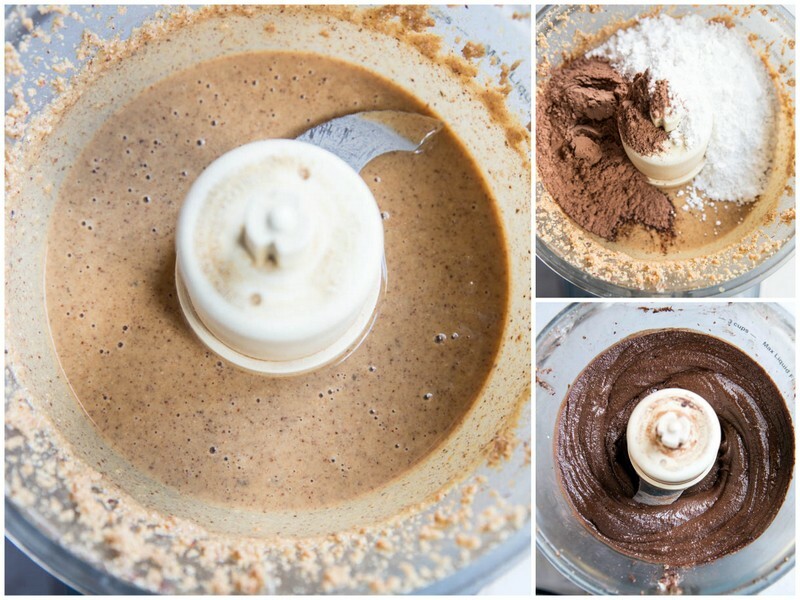 Place the hazelnuts in a food processor and blend until they are ground up into a peanut butter like paste. Add in the cocoa or cacao, sugar (powdered sugar or coconut sugar) and salt and blend until all incorporated. Separate into 3 small jars (about 6 ounces in each). Homemade nutella will last 2-3 weeks in the fridge. 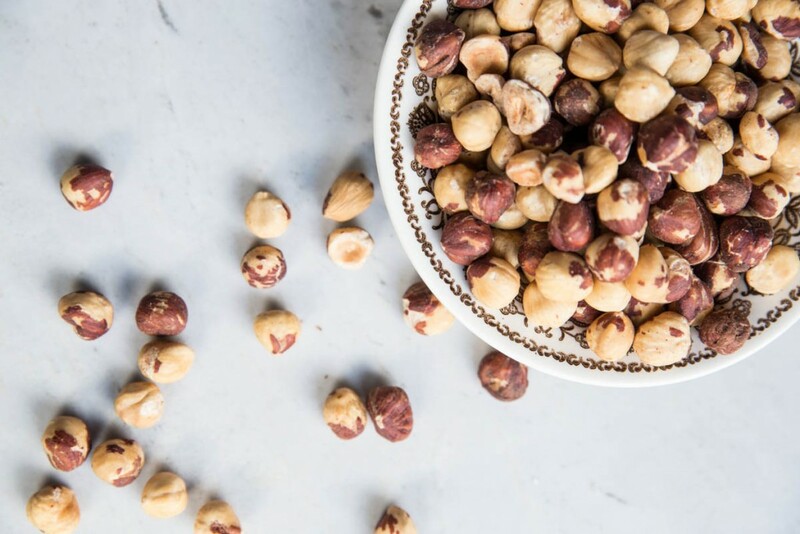 If you can find roasted hazelnuts at the store go for these first as roasting them at home and removing the skins can be a hassle and added step in the recipe. For a sugar cane free version, coconut sugar can replace powdered sugar in a 1:1 ratio. 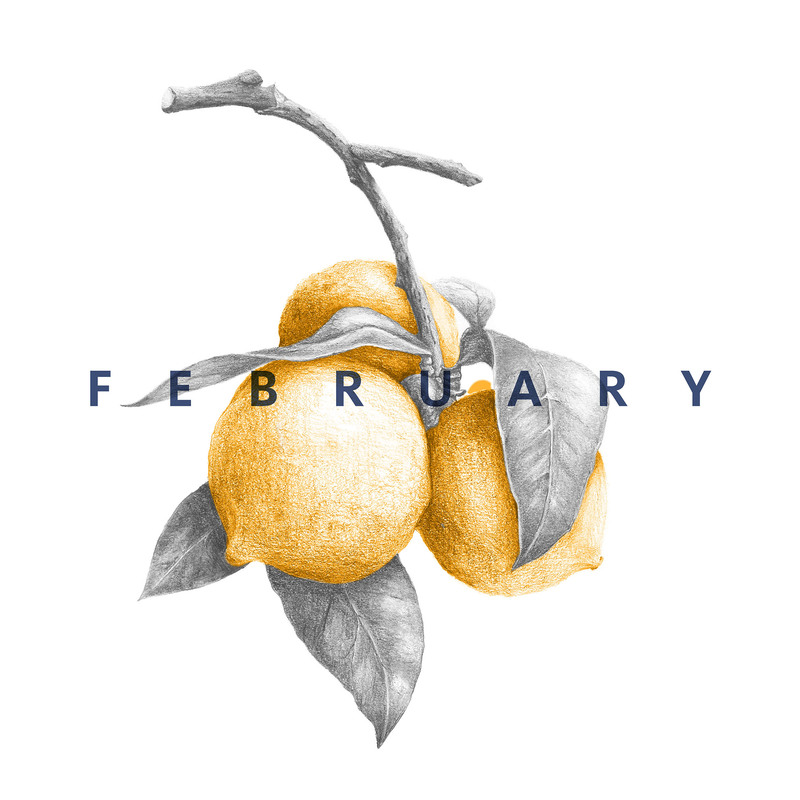 Hi there, I tried making this and thought it was a bit dry. It certainly wasn’t spreadable. So I added some almond milk- big mistake. It went to a sort of mealy texture that wouldn’t smooth out no matter how long I ran the food processor. Any tips on what to do regarding the dryness? What could I add to make it a bit thinner and spreadable. Mine looked nothing like the pictures! Oh dear!! What sugar are you using?